Britt, I'm so happy to see these pancakes. And as much as I used to love scooping and leveling, I love tapping flours into the bowl on the scale even more now. Funny what can change. 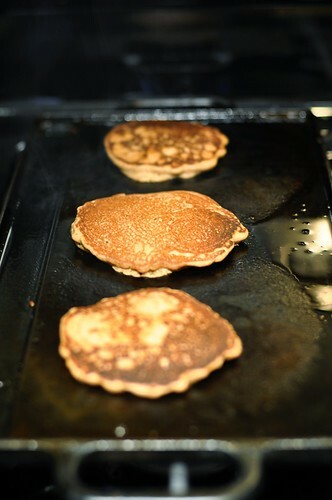 Spiced teff pancakes sound divine. We're making them this weekend. what Shauna said! I love teff, too. spiced teff sounds fantastic. Wonderful post! 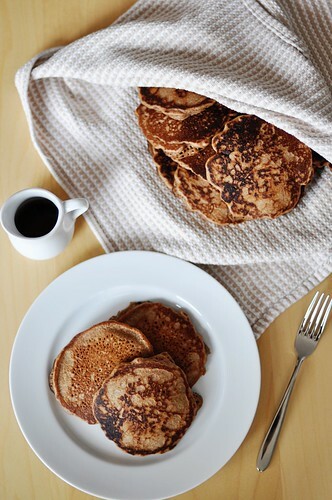 I have a box of teff flour sitting in my pantry that I haven't played with yet, I think I will give these pancakes a go! These look wonderful, Britt. Teff is such a great grain to play with, although I haven't yet made it the primary flour in any of my recipes. Your pancakes have encouraged me to do so!And Christmas spices in the morning is one of my favorite things. What a great flavor combination. I love it. These look so awesome. Must try! Spiced teffed pancakes sounds inspired. Teff is one of those flours that works so well with the warm spices like cinnamon and ginger. The pancakes must have had a such an amazing aroma when you made them! Beautiful. I made these last night and they are spectacular! Since I spent a good portion of yesterday staring at pictures of pancakes and comparing pancake recipes from all the participants in the Gluten Free Rally, I just had to have them for dinner. Great job! These are now firmly rooted in my recipe collection. Thank you! These are gorgeous, Britt! I'm new (or at least newer!) to teff, but it's quite a lovely grain to play with. I'd love to try it with these – they look so very good! Mine came out much flatter, but I used coconut milk. I'm going to try it again with some cultured coconut milk next time. But these were wonderful with maple syrup. I love Teff too! 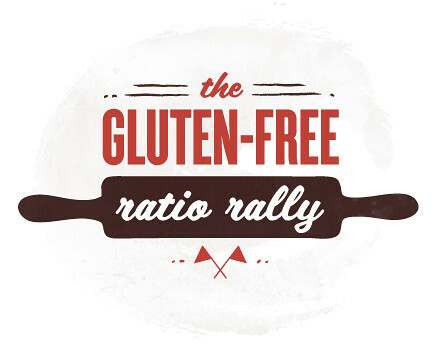 We are slowing morphing into the gluten free lifestyle. I just made these this morning. I had to make a few changes as I was missing ingredients. I used amaranth instead of brown rice and coconut oil instead of butter and I used 3 eggs because they were kinda small. Oh my they were a hit. I am making them again for dinner on Tuesday! I'm reading Ratio, it's so interesting. I have never tried teff before, so I will have to try it sometime. I was eating gluten free for a while, but since I've always been intimidated by baking gluten free–I haven't experimented much with it, other than Bob's Red Mill gluten free all purpose flour. Thanks for the inspiration. I found these through the link on the gluten free girl site. These were fantastic! I love teff – especially knowing the great nutrition it provides to my family! Everyone from the parents on down to the 4 yr old thru 12 month old loved them – more like, devoured them! My boyfriend is gluten-free and absolutely LOVES pancakes, for breakfast, lunch or dinner! Needless to say, buying pre-made mixes gets pricey. I have recently become determined to stay away from mixes and make gluten-free baked goods on my own using various flours. I found your recipe online and we love it! And I’m sure the flours are much healthier than in traditional pancakes. THANKS! 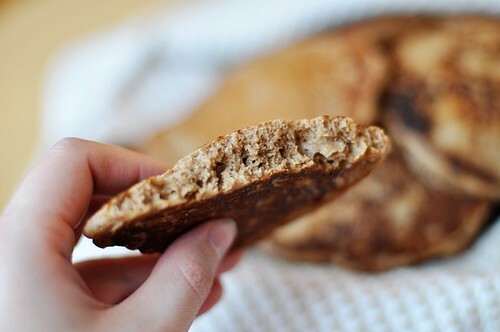 I made your teff spice pancakes & we found they are very filling,plus we had longer staying power. These are better than sweet breakfasts which don’t fill you up & you get hungry sooner. I made a double batch of these this morning and had some problems with them. The batter was really liquidy and seemed to need more baking powder. I added some more along with some more flour, but even then I had to make them Tbs sized to get anything to cook. I made them by weight and made no substitutions. Any idea what could’ve happened? They tasted good though and the family loved them. Alissia, I’m sorry to hear that you had so many issues with this recipe–you’re the first to report this. My only thoughts are these: Pancake batter is supposed to be fairly runny and pourable. It’s been a while since I made these, but I think I do remember this ratio creating a thinner pancake batter than I was used to working with. They still turned out great when cooked, though. As for the baking powder, is it possible that yours might have expired? I’ve written dozens of recipes for baked goods and 2 teaspoons is plenty for the amount of flour called for here. 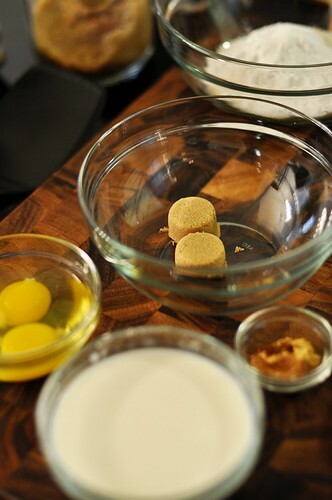 (In fact, Ruhlman only suggests adding 1 teaspoon per every 5 oz of flour, so I actually exceeded his recommendation.) Also, could something have been miscalculated in doubling the recipe? Other than these possibilities, I’m not sure. Hopefully this was helpful and I’m glad your family was able to enjoy them anyway!